Haiti (MNN) — Few things are easier to take for granted than toilet paper, but what about people who don’t have bathrooms in the first place? According to Eva DeHart of For Haiti With Love, sanitation is virtually unheard of in the streets of Haiti. “If, in the capital of Port-au-Prince, they have a flushing toilet, you can know that they’re catching water on the roof, and anything that goes into those toilets is going straight out onto the streets,” she says. And that’s a best-case scenario. “If you’re lucky, it goes into canals or rivers and ends up in the ocean,” DeHart says. Everyone else defecates somewhere outside. Sometimes, but not always, they’ll go into bags, but even that only goes so far when they simply throw the bags as far as they’ll fly. That’s why For Haiti With Love is building latrines. For $3,500, they can help set up a community latrine to help provide sanitation needs for indigenous people. So far, their projects have been met with great success, and interest is quickly growing. As more latrines go up, more villages are asking for help. And it’s not just about sanitation. 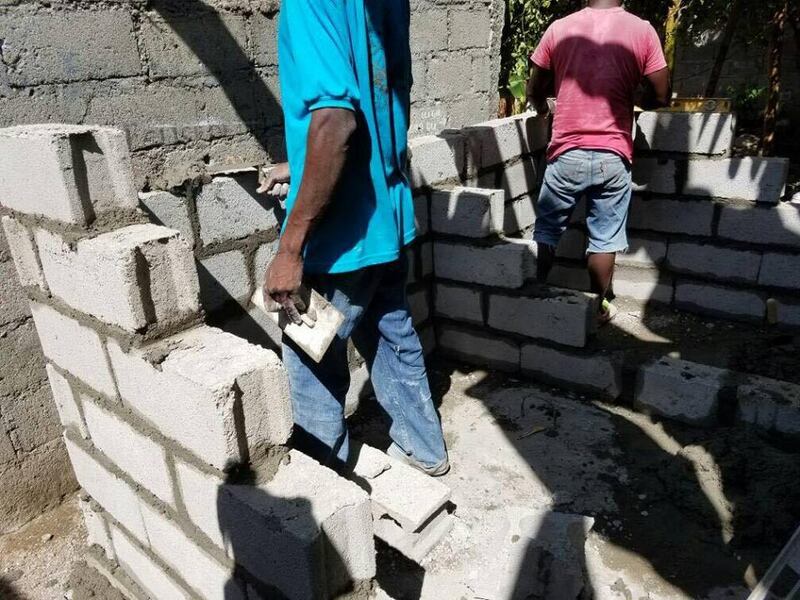 These latrine projects give missions workers a chance to share the hope of Christ during construction. Want to help? 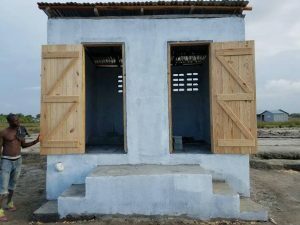 Consider giving your time, resources, and prayer to one of the latrine projects. Click here to learn more. Pray for Haitian communities waiting on Latrines. Ask God to provide the resources people need for sanitation. Thank Him for the latrines For Haiti With Love has already built.